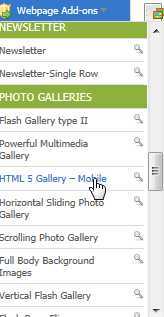 To add the HTML5 GALLERY to your website, select the page you wish to add it to and then click on "HTML 5" in the Webpage Add-ons dropdown list. 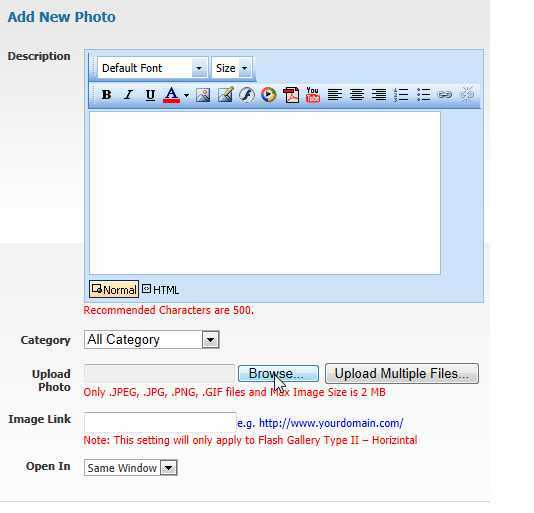 You will see the widget gets added to the first column of the page. 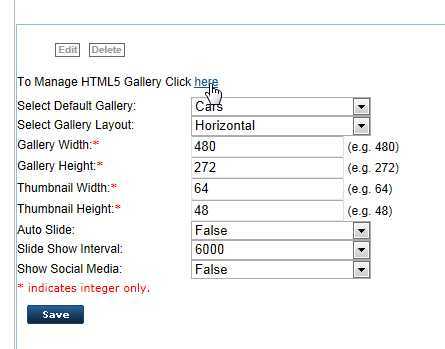 Click on "to Manage HTML5 Gallery Click Here"